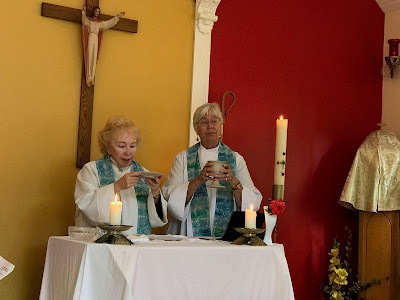 Priests as Midwives of Grace by Matthew Fox, ARCWP - Celebrating Priesthood as "Midwives of Grace"
I have been a priest for fifty years—twenty six as a Roman Catholic priest and twenty four as an Episcopal priest. Actually, even according to Roman Catholic theology, it is one priesthood. My ministry has been more theological and educational than parish work though I have been engaged deeply in developing new forms of worship and rituals as well. I have authored about 34 books on spirituality and culture and have founded and directed a number of spirituality programs over the years teaching undergrads and graduate students in various colleges, the most recent being the Fox Institute for Creation Spirituality which opens in Boulder, Colorado this Fall. I birthed the University of Creation Spirituality in 1996 after pressure from the Inquisitor General under Pope JPII, Cardinal Ratzinger (later to be Pope Benedict XVI) succeeded after twelve years of trying to shut down my Institute of Creation Spirituality at Holy Names College in Oakland, CA. My definition of the priest archetype is simply this: A midwife of grace. For me this works, it honors many versions of ministry and priesthood at the same time that it also opens up many interesting possibilities for the new generation who are listening deeply (at least many are) for their calling, their vocation, “How can I best serve this wounded and rapidly endangered world?” This in a time of climate change, out of control reptilian brain, war-mongering budgets and threats, patriarchy in backlash, obscene gaps between haves and have nots and all the rest. Photos on Facebook page of Bridget Mary Meehan and Mary Theresa Streck. Why are you doing this; what are your goals? The Association of Roman Catholic Women Priests is a renewal, justice movement within the Catholic Church. We are a non-clerical movement that offers the church an egalitarian partnership with the community of the baptized. Genesis 1:27: God created humanity in God’s image, in the divine image, God created them, male and female God created them. Galatians 3:27 St. Paul reminds us that by our baptism there is neither male nor female, all are one in Christ. What changes will women priests bring in the Catholic Church? The real issue is that Roman Catholic Women Priests are visible reminders that women are equal images of God. We are healing centuries of misogyny. Therefore, women should preside at the altar and in all leadership roles in the church. Our movement is a “holy shakeup” which millions of Catholics support. We lead inclusive, enthusiastic, egalitarian communities where all are welcome to receive sacraments. We serve inclusive Catholic communities where all are welcome to receive sacraments. How do you deal with excommunication? Did Jesus ordain only men as apostles? How can women be ordained as deacons, priests and bishops today? Jesus called women and men to be disciples. (Luke 8:1-3). Many women followed Jesus and supported his ministry. There were more than 12 apostles. The word ‘apostle’ means “sent off.” Apostles were emissaries or ambassadors who were sent out on mission. The Twelve refer to the eschatological reunion with the Twelve tribes of Israel. Were there any women apostles? Is there evidence of women’s ordination in church history? For 1200 years women were ordained. There were thousands of women deacons in the east and the preponderance of evidence of women priests was in the west. We are the “Rosa Parks” of the Catholic Church. We will not accept second class citizenship. Are your ordinations recognized by the Vatican? We are disobeying an unjust, man-made canon law that discriminates against women. Why don’t you get ordained in another church, rather than face excommunication and rejection in the RC Church? The Church is the people of God and a growing majority of Catholics support women priests. We are faithful members of the Church who are offering a renewed model of priestly ministry in a community of equals. Pope Benedict canonized two excommunicated nuns (Theodore Guerin and Mary McKillop). Therefore, one could argue that he made excommunication the new fast track to canonization! We hope that Pope Francis will chart a new path toward human equality in our church by opening all ministries to women. If women were priests, we would see an end to the church’s policy on contraception. Primacy of conscience is an important church teaching that all must follow in moral decisions. ARCWP makes the connections between injustice in the church and abuse/violence toward women in the world. Like Pope Francis who says no to an economy of exclusion, women priests say no to a church of exclusion. Like Pope Francis who promotes an economy of inclusion, women priests promote a church of inclusion. Like Pope Francis who challenges global economic inequality, women priests challenge the church’s gender inequality. Global economic equality is related to women’s empowerment and equality in church and society. Roman Catholic Women Priests are a renewal, justice movement within the Catholic Church. The Church that treats women as second-class citizens violates God's will. Genesis 1:27: God created humanity in God's image, in the divine image, God created them, male and female God created them. Galatians 3:27 St. Paul reminds us that by our baptism there is neither male nor female, all are one in Christ. administrative structure. They are not administratively connected. ARCWP’s vision is a renewed priestly ministry within a Roman Catholic Community of equals. international group without regional territories. Presently, ARCWP is in the United States, South America, and Canada. resources on a regular basis. We have a common chat listserve and national retreats. We collaborate on major reform movement events such as the celebration of liturgy at Call to Action National Conference. 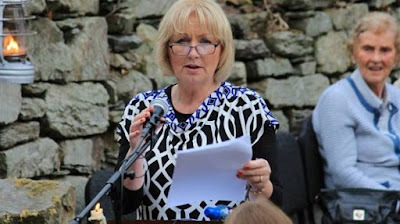 "This is a groundbreaking interview with Ann Marie Desmond about her call to priesthood and gender equality in the Catholic Church in Ireland. We rejoice that women are now ready to lead the church toward a new priestly ministry." As the clamour demanding full equality for women in the Catholic Church grows ever louder indications are that it is beginning to make an impact at the very highest level. Just this summer Sweden’s first Cardinal Anders Arborelius proposed that Pope Francis create a special advisory body of women similar to the College of Cardinals. Cardinal Arborelius was himself admitted to the college in Rome last June. “It’s very important to find a broader way of involving women at various levels in the church. The role of women is very, very important in society, in economics, but in the church sometimes we are a bit behind,” he told media in Rome. Similarly German cardinal Reinhard Marx, a member of the council of nine cardinals which advise Pope Francis, has called on the church to admit a greater percentage of women to its upper echelons. “We would be mad not to use women’s talents. In fact, it would be downright foolish,” he said. The fact that only men can be ordained Catholic priests was “certainly not helping the church come across as a pioneer of equal rights”. The church’s message must be inclusive, he continued, and “that is why I want to emphasise that positions of responsibility and executive positions in the church that are open to lay people must be shared by both men and women”. Whereas admission to equality in church administration might be welcomed by some women, their glaring absence from clergy, whether as deacons, priests, or bishops, remains for most the true indicator of their second-class status as members. Last year Pope Francis set up a commission to look at the possibility of admitting women to the diaconate, which is now also reserved for men only. The commission is a welcome step where women are concerned, but just that. In Ireland, the Association of Catholic Priests has called on all dioceses to hold off on the introduction of the permanent diaconate until this commission reports and Pope Francis makes a decision based on its findings. “We believe that proceeding with the introduction of a male permanent diaconate at this time, and thereby adding another male clerical layer to ministry, is insensitive, disrespectful of women, and counterproductive at this present critical time,” it said last week in a statement. It was commenting after Fr Roy Donovan objected to a decision by Archbishop Kieran O’Reilly in his archdiocese of Cashel and Emly to set up a body to look at introducing the male-only diaconate there. “What are the implications of this when already there are so many women involved on the ground, in all kinds of ministries, without been given much status and power? Have they not also earned their place at the top table?” he asked. Fr Donovan told The Irish Times the response to his stance had been “all very positive, including men as well”. In his own experience no parish in which he had served could have functioned without the work of women. “It’s very difficult to get men involved, even in pastoral councils,” he said. It was similar when it came to getting people to be ministers of the word and ministers of the Eucharist. 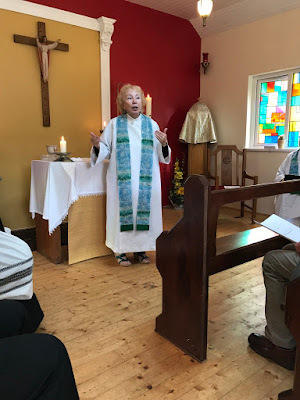 One woman who believes she has a vocation to the Catholic priesthood is Dr Ann-Marie Desmond (54) of Timoleague, Co Cork. A teacher of religion and history, with a PhD in education and degrees in theology and history, she is married with two grown-up daughters. Hers was a traditional Catholic upbringing in a devout family and with an aunt a nun. Even when her brother was an altar server she did not question why, then, she could not become one too. Girls are now allowed be altar servers, and in most parishes these days the altar servers are girls. It was at third level education that Ms Desmond began to question things and later when, preparing for Masses, women like her “would organise everything, pick the readings etc., and a man [priest] would come in, take over, and celebrate it”. She has herself been a minister of the word and of the Eucharist. Hers has remained “a very committed faith” but she had become “very anti the institution”, she said. This was not just because of its exclusion of women but also “of gay people, and people such as the divorced and remarried, from Communion. I would want a much more inclusive church,” she continued. A lot of women like her retained “a deep faith but would no longer be followers of the Catholic Church”. She had explored other churches and admired in particular the inclusivity of Anglicanism in the form of the Church of Ireland, but “had stayed within [the Catholic Church] to speak out”. The church needed priests, “a value-driven leadership”, she said but this should also include women. “I can’t see anything wrong with women celebrating the Eucharist,” she said. The reason Jesus did not include women among the apostles was because of the culture of his time when women remained in the home, she said. “Many of the apostles were also married,” she pointed out, as an indicator of the inconsistency of the church’s position on priesthood which now demands its priests be celibate. She welcomed, “very, very cautiously”, the Pope’s commission on women deacons as, possibly, “a gradual evolution towards priesthood”. It was “a step in the right direction”. But she wonders about the church’s future where younger women are concerned. “How can you be a follower of such an institution?” one of her daughter’s asked recently, reflecting on its exclusion of women. "A female Catholic bishop excommunicated by the Vatican is in Northern Ireland on a recruitment drive to expand her movement of women priests. Bridget Mary Meehan said five women who believe they have a vocation had come forward in the Republic and she hoped for a similar number on this side of the border. "We have 250 women priests and 11 bishops but I'm the only Irish-born one and I would love to change that," she said. "I ordained a female priest in Scotland in 2009, which was very exciting, but my dream is to come home next year to ordain women in Ireland. "I believe our movement is in harmony with everything Pope Francis stands for in wanting a more open and inclusive Church." The women, who belong to the US-based Association of Roman Catholic Women Priests (ARCWP), are defying the Vatican's ban on female clergy. Bishop Meehan stressed that although she had been excommunicated, she still saw herself as part of the mainstream Church. "As an Irish Catholic, Catholicism is in my DNA," she said. "This isn't about leaving the Church, it's about leading it. This is about moving the Church towards equality and justice and healing the wounds of centuries of sexism." She yesterday said Mass at the Oratory, the church of Bishop Pat Buckley in Larne. He branded opposition to women priests as "sexism dressed up with theology". Born in Coolkerry, Co Laois, Meehan was ordained a priest in 2006 and a bishop three years later. The 69-year-old currently ministers in Florida. Her family support her stance. 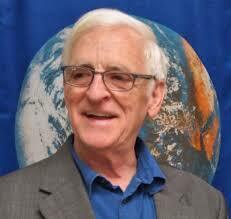 "My late father Jack Meehan was 82 when I was ordained. He was very proud of me. He had been a dance band leader in the 1940s and he played music at Masses which I celebrated," she said. Bishop Meehan said being branded "a white witch" and facing other insults didn't bother her. "I grew up in a conservative Catholic tradition so I see those criticisms as part of the journey we're all on," she said. She rejected the Vatican's argument that women couldn't be priests because the 12 Apostles were male. "The risen Christ appeared first to Mary Magdalene, not to the Apostles, and called on her to announce the good news of Christianity. Mary Magdalene was the Apostle to the Apostles," she said. The ARCWP has significantly expanded from 2002 when seven women were ordained priests on a ship on the River Danube. 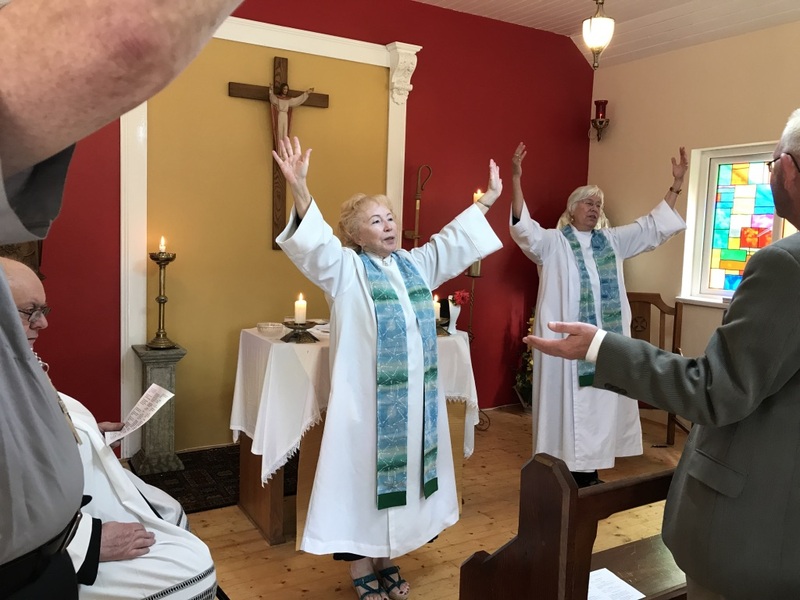 The organisation insists its ordinations are valid because the male bishop ordaining the first female bishops has "apostolic succession within the Catholic Church". Bishop Meehan was excommunicated in 2007, but insisted: "Our actions are justified because we are disobeying an unjust law. No one can cancel my baptism - it's equal to that of any bishop, cardinal or Pope." Pope Francis has said the Church is unlikely to lift its ban on female priests but he has set up a commission to investigate whether women could be ordained as deacons, giving them the authority to marry couples and baptise babies, but not to celebrate Mass. While Bishop Meehan sees him as "moving in the right direction", Bishop Buckley is less optimistic. "Even if Francis wanted change, he is surrounded by a conservative cabal who will prevent it," he said. "The battle for women priests will be far harder than that for married priests. Opposition isn't just in the Vatican, it's extensive at a grassroots level."